Philippine police director says death toll from Typhoon Mangkhut has risen to 25. The strongest storm in the world this year has now moved on to southern China and densely populated Hong Kong, after causing landslides on the northern tip of the Philippines’ Luzon island yesterday. Some news agencies reported the death toll was as high as 49. While the worst of the storm has passed in the Philippines, authorities are dealing with the devastation left in its wake. At least 40 people, mostly gold miners, are feared to have been trapped in a landslide in and seven bodies have already been dug out by rescuers, police say. Police Superintendent Pelita Tacio says part of a mountain slope collapsed on the miners’ bunkhouses in the village of Itogon town in Benguet province. Mr Tacio, who was at the scene of the landslide, says rescuers found another man, but could not immediately retrieve his body – which was pinned by rocks and mud. Houses also collapsed amid landslides as more than five million people found themselves in the path of the deadly typhoon. Francis Tolentino, an adviser to President Rodrigo Duterte, said most of the fatalities happened in mountainous areas. Twenty deaths in the Cordillera region in Luzon and four in nearby Nueva Vizcaya province were caused by landslides. Mr Tolentino said another death resulted from a tree falling in the province of Ilocos Sur. 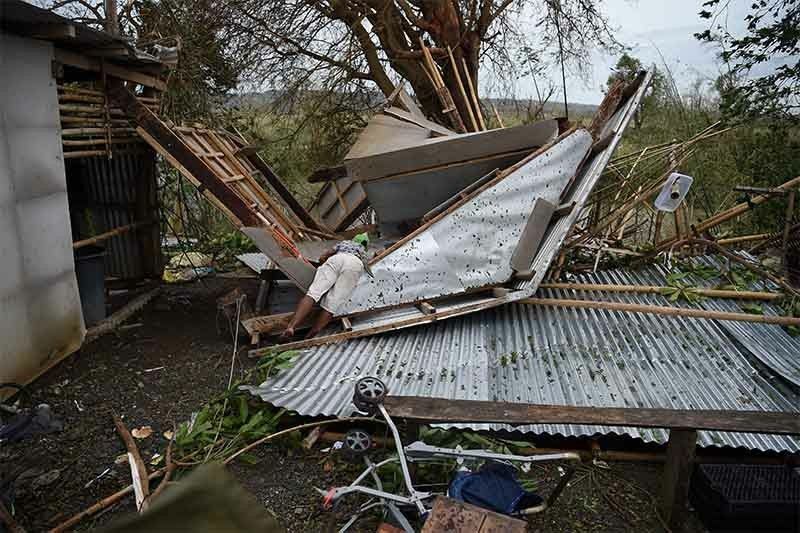 Three more deaths have been reported in northeastern Cagayan province, where the typhoon made landfall. Among the 28 fatalities were two toddlers who died with their parents. The couple had refused to immediately evacuate from their high-risk community in a mountain town in Nueva Vizcaya province, authorities said. Mangkhut, with gusts reaching 190mph, had the equivalent-strength of a category 5 Atlantic hurricane when it made landfall on the Philippines on Saturday. About 87,000 people had evacuated from high-risk areas of the Philippines. They were advised not to return home until the lingering danger had passed.